Lost at home to Dover, oh dear. Those charming Wrexham folk were at it again today it seems. No, just the norm, wxm fans bleating again in there enclosure pen😂😂 get used to it there bottle has gone LOL!!! Please keep this thread clear for thenotoriousfbs to reply......radar is homing in on any response from the lonely drunken Juan.......blip....blip....blip.....blip.....hic! 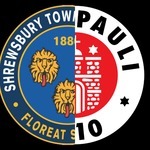 Hark now hear Shrewsbury sing? Our dip in form has been a convenient scapegoat for YOUR own more worrying form under Sam The Snake. It's a welcome tension relief for you! You've sacked one manager without League experience. Then gone for ANOTHER ONE! With (7) MONTHS managerial experience? Last 8 games you've beaten Walsall in the EFL TROPHY and, won once in the League. Not very good form in January. For both teams. I'm confident Shrewsubury fans are in for an exciting season's finale though. A relegation battle , which, if you lost, would result in your team still playing LEAGUE FOOTBALL. An annual battle ( which you historically lose ) in a vain attempt to become a Football LEAGUE TEAM. Just click on 'Honours' on Wikepedia. And just compare the two clubs. At least we've been there. And done it. ECWC quarter-final losers to the winners. Anderlecht. Etc..
European Cup Winners Cup. Porto. Roma.....etc Domestic Cup Final silverware at Wembley...Cardiff..
Every season we played you in the Welsh Cup. During your 'Golden Years' you go on about... Every year. Every season. You weren't prolific in the Welsh Cup with your 'Golden teams' were you? More luck in the Shropshire Cup..
I’m sure whilst losing to Bromley the current and next generation of Wrexham fans were quite content as they could reminisce about those legendary days of European football by default for the golden team. Did the fries at Fylde compare to Anderlechts? Did visiting Porto compare to the 2-4-1 offer of visiting Havant AND Waterlooville? Was the pre match entertainment better in Rome or the Woods in Boreham? It’s a results business and, in the last 10 years you guys haven’t picked up many decent ones. I for one though would love it to happen eventually though. I agree on what you say on our current situation with your old manager but the silverware issue certainly not. For starters we couldn’t enter European competition after winning the boyo trophy so had no chance of replicating what you did and if silverware at Wembley is winning the humiliating non league f a trophy then lol lol lol. That says more your desperate fall from once respectability to your acceptance of non league football. I should be very careful gloating over previous European "glories". Look what happened to Borough United....slippery slope and all that. Oh it's already that time of the season that Wxm start their decline, and we are supposed to be bottlers. Normally our Wxm resident will disappear but he appears to have temporarily stuck around to hit us where it really hurts, the fact we were never prolific in the welsh cup during the 80's is something that we Shrewsbury fans still have nightmares about. 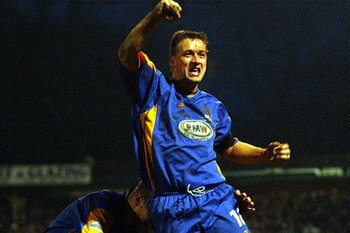 Shrewsbury Town FC, EFL League One football club. Wrexham FC, non league football club. End of story. What is there to argue about. If Wrexham ever get to our standard lets have an argument as to who is best. In the meantime and for many years to come lets just sit back and enjoy watching Wrexham playing and loosing to the likes of Dover Athletic and struggling to qualify for the first round of the FA Cup. To be fair they were great European nights for Wrexham but you have to be of a certain age to remember them. We are going back some 45 years after all. Distant memories which they will never ever live again. Enjoy the nostalgia our Wrexham friend, assuming that you are old enough to actually remember it. I just love the way that our Wrexham friend continues to respond to a thread with a title that Jaytee put in place as a joke ! ....talk about "I know my place"
It is a thing that fans of little clubs do. Bury still harp on about winning the FA Cup in the early 1900s, even though none of them were about then. Actually I do remember the Welsh Cup in 79.we beat Exeter to win the league, and then beat the goats a few days later 1-0 I think maguire scored.even more happy days!!! Maguire it was 😊 We won 2-1 on aggregate to cap a great season. There was close to 9000 at the GM for the second leg. We beat them again 1984, again 2-1.